What’s better than a great smelling man who is groomed, well dressed and just makes you say ‘Dang!‘? (Don’t you dare say chocolate!) How about a cologne that makes him smell phenomenal AND is affordable too? 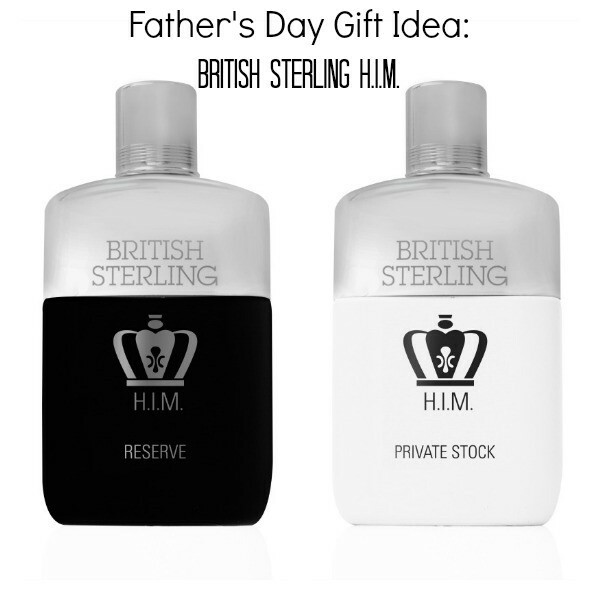 Let me introduce, or reintroduce you, to British Sterling, a cologne from the 70s that’s making a comeback my friends. British Sterling is making a comeback, after selling over 50 million, with two fantastic new blends: H.I.M. Reserve and H.I.M. Private Stock. Priced at only $24.99, these make a fantastic and affordable gift for Father’s Day. How do they smell you ask? Oooh la la. I just so happen to be surrounded by three dudes in my home who love to smell good (yes, I consider myself extremely lucky) and who are also quite picky when it comes to their colognes. What did they think? Let’s just say deciding who gets which one is going to be an issue. I say we all just share! For those of you who like the back story on things and you’re wondering what H.I.M. stands for, it’s short for ‘His Imperial Majesty’, which is a subtle nod to King George VI. Classy. I love it. What else can you expect from British Sterling? So be on the lookout for products including body sprays, body washes, antiperspirants, an innovative 3-in-1 bar soap, and an advanced three-piece shave system. Prices will start at $4.99 for a 3-in-1 Body Wash and go to $24.99 for the fragrances. Alright , who’s up for a giveaway?! I am giving away not one, but both of these new British Sterling fragrances to one lucky Mom Fabulous reader! That’s right. You’ll win a bottle of H.I.M. Reserve and H.I.M. Private Stock, both full sizes. You can give these away as a gift to that special man in your life and he will love you and smell great. Win/Win. Disclosure: MomFabulous received samples for this feature. No other compensation was received. i love a man that smells yummy! I would give it to my wonderful husband Keith . I would give it to my hubbby! I wanna win this for my fiancée. Hubby would get this one. I would give it to my boyfriend. I’d give it to my stepdad – he’s a great guy and deserves it. My husband loves to smell nice and this would be his. My Husband would love to have this so if I won I would give it to him. I’d give to my fiance. I would give to my hubby! He a little bit of a dapper dan. I’d give this to my hubby. I would give this to my husband if I win! I would love to give this gift to my dad. I would keep it for myself or to my father. I would first try to give them to my husband. If he doesn’t like how they smell, I would go down a list of friends/family until I found someone who would love them. I would give it to my fiancé. Would give to my husband! I would give it to my father. I would give this to my brother. I would give this to my boyfriend, he’d love it! My youngest son’s birthday is coming up. He’s grown, so he could use this. I would give this to my sweetie. Thanks! I would give it to my husband who would love it! My son would get one and so would my husband…. Thanks for the giveaway…this one is for me !